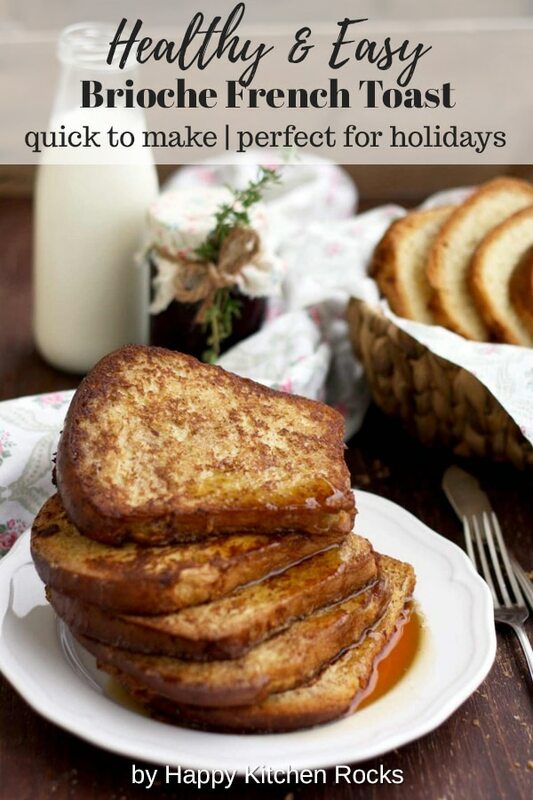 This healthy brioche French toast recipe is super easy and quick to make. 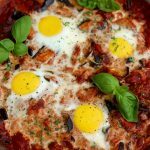 Delicious and luscious breakfast or brunch idea for holidays or lazy Sundays! 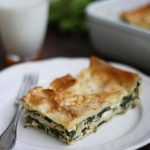 Make it for your Christmas brunch and impress everyone! One of my favorite guilty pleasures is French toasts. 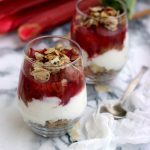 You can barely find something more indulgent for breakfast or brunch! 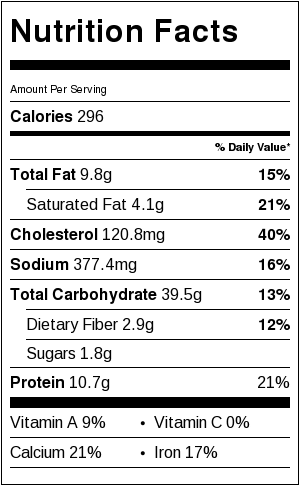 Well, OK, breakfast pizza is also pretty good. 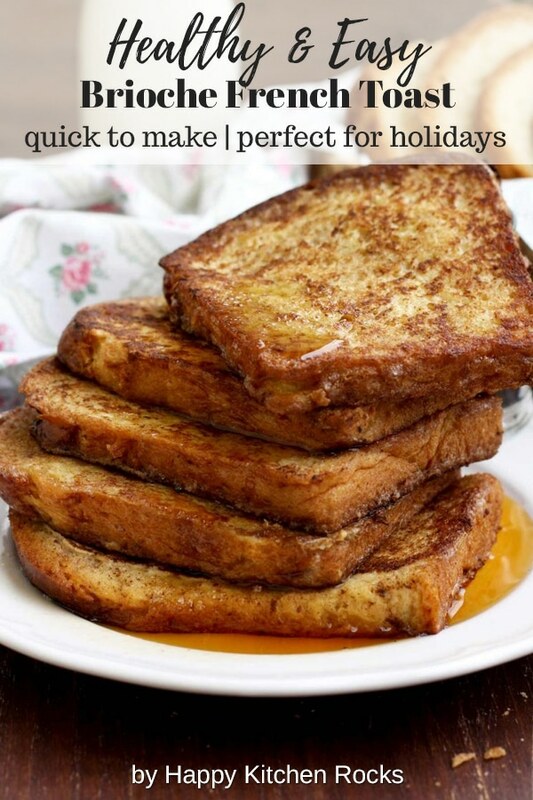 But French toasts are always incredibly tempting for a sweet tooth like me. 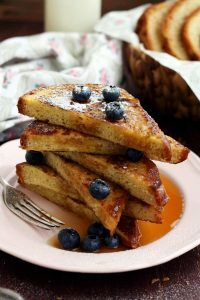 Thick fluffy slices of brioche bread, soaked in eggs and milk, spiced with vanilla, toasted in a pan until golden brown, and served with maple syrup and blueberries… Doesn’t it sound like a dream breakfast to you? 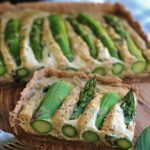 I tried to make it a little bit healthier, so that you don’t feel bad about eating an extra slice! 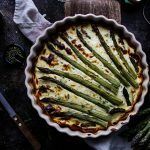 Since Christmas is approaching, it’s time to think about easy, delicious and festive Christmas Day brunch ideas. 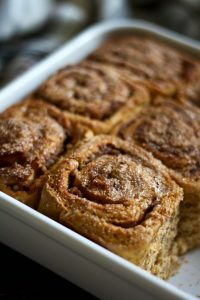 I totally recommend you my Healthy Cinnamon Sweet Potato Rolls, since they are to die for! 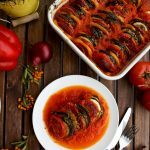 You can make them ahead and put them in the oven 20 minutes before serving. Another idea would be brioche French toast. 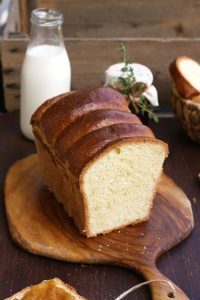 They are just as delicious and don’t require preparation (except you decide to impress everyone and bake your own homemade French brioche bread) and they are super quick and easy to make. This year I’m all about saving time and energy, since I’m pregnant with our first baby. I’m due January 5th, so it’s getting harder and harder for me to maintain the lifestyle I was used to. I decided to give up traditional Christmas shopping, since it’s so exhausting and time-consuming. This year I order all my Christmas gifts online and I was pleasantly surprised that it’s not only more convenient, but also cheaper! It’s a win-win, so I can’t recommend it enough! I even created an Ultimate Holiday Gift Guide for Foodies with some of my favorite gift items. 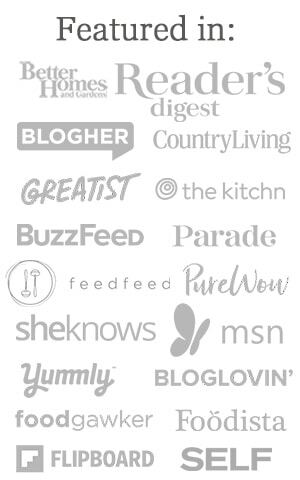 I carefully selected 46 gift ideas every foodie would enjoy and ranged them by price, starting from under $30 and going up to $100+. 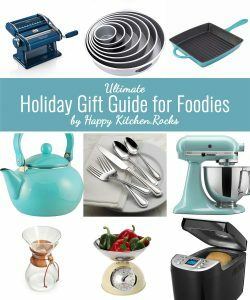 I would be happy to receive any of these gifts for Christmas, so if you have a foodie in your family, check my holiday gift guide for foodies for ideas. For those of you who have time, I have 15+ Homemade Christmas Food Gift Ideas for your loved ones: Cookies, condiments, jams, macarons, potpourri, pickles and snacks. 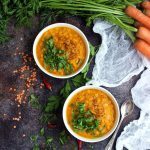 Homemade gifts are great but if you have no time, I totally understand and I got you covered with my ultimate holiday gift guide for foodies. 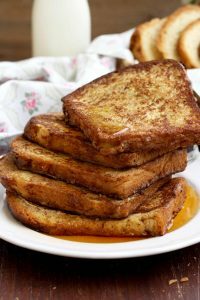 Brioche French toast is so easy, you can let your children make it. 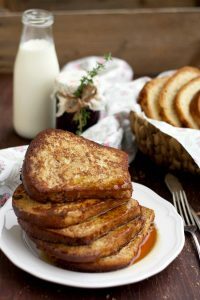 You will only need 6 ingredients to make it: Sliced brioche bread, eggs, milk (cow or nut, I tried this recipe with both and it came out perfect every time), cinnamon, vanilla extract and coconut oil. Feel free to serve it with maple syrup and fresh blueberries, or any other toppings of your choice. As always, I tried to make the recipe a little bit healthier. 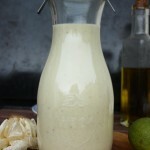 To start with, prepare the batter by mixing eggs with milk, cinnamon and vanilla extract. Heat coconut oil in a large skillet over medium heat. Coat a slice of brioche in batter from both sides. Avoid soaking! You just want to coat it with batter. Repeat with the rest of brioche slices. Place them on a skillet and cook for about 2 minutes or until golden brown from both sides. Gently press your toasts with a spatula to ensure that they are all evenly browned. Easy, isn’t it? 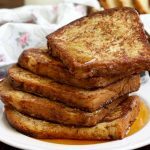 This healthy brioche French toast recipe is super easy and quick to make. 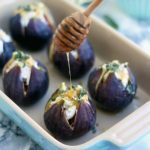 Delicious and luscious breakfast or brunch idea for holidays or lazy Sundays! Prepare the batter by mixing eggs with milk, cinnamon and vanilla extract. Heat coconut oil in a large skillet over medium heat. Coat a slice of brioche in batter from both sides. 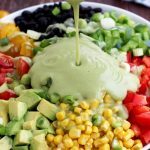 Avoid soaking! You just want to coat it with batter. Repeat with the rest of brioche slices. Place them on a skillet and cook for about 2 minutes or until golden brown. 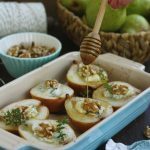 Serve with maple syrup and fresh blueberries, or any other toppings of your choice. Enjoy! You can make the batter one day ahead and refrigerate it until ready to use. What is your favorite Christmas breakfast treat? Leave a comment below! Brioche is my favorite bread…It’s so good! I’m with you on this one! Thank you, Michelle! 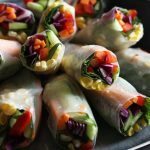 Wow, this almost looks like more yummy-ness than one recipe can handle! But juuuuust almost! 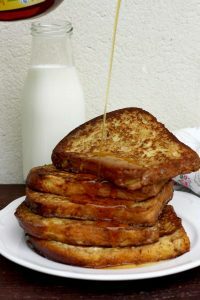 I haven’t had french toast in a long time, this makes me want to have some soon! Now you know what to make this weekend for breakfast 😉 Thank you, Anne!